With 3/5th of the Twin Cities population feeling under the weather, I figured that Friday night would be a good time to visit Mankato for some hockey. 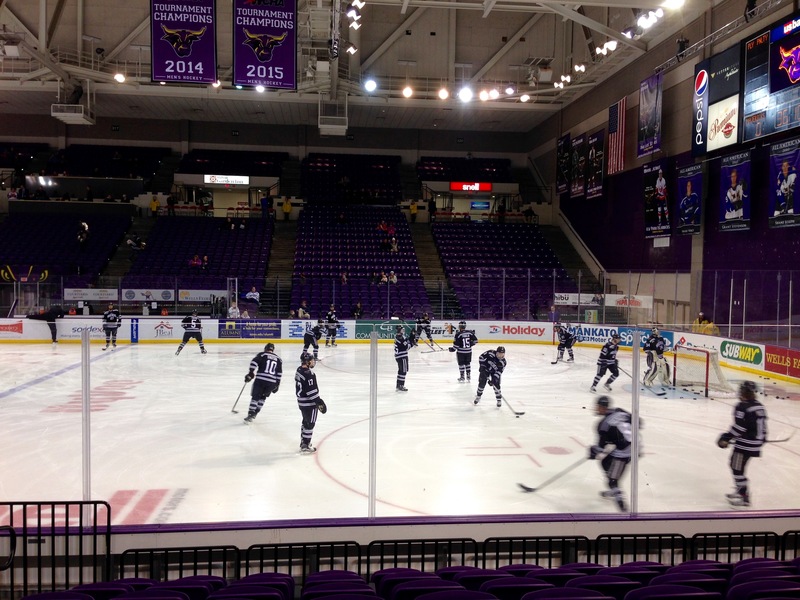 The Minnesota State Mavericks were hosting the Bowling Green Falcons. A meeting of the top two teams in the WCHA. 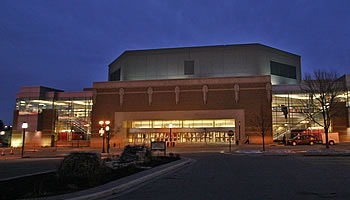 The Verizon Center was built in 1995 and seats 5280. 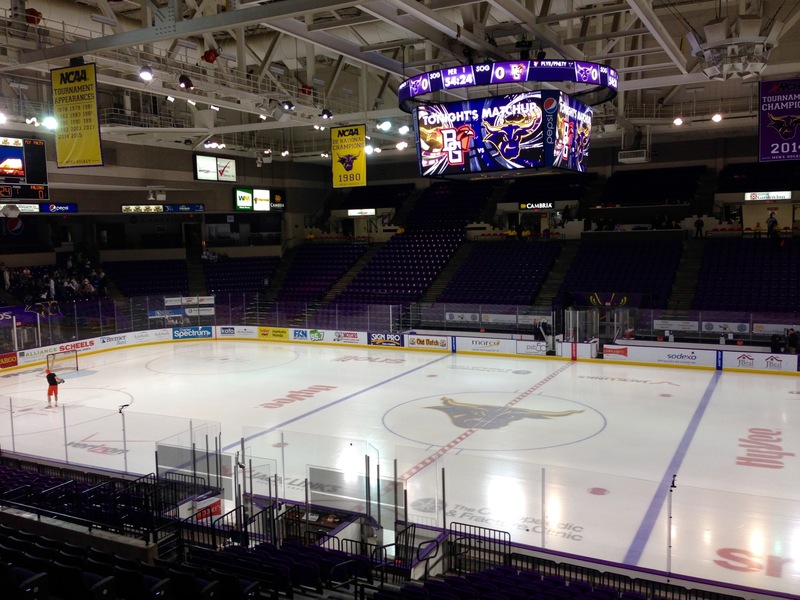 It’s a nice rink for college hockey, and the locals are really into their Mavericks. The first period was pretty evenly played, with MSU taking a 1-0 lead into intermission on a goal by Michael Huntebrinker. SOG favored MSU 9-8. The second period was all Minnesota State, as they extended their lead to 3-0. In the third period, the Falcon’s John Schilling scored short handed & unassisted on a very pretty shot on a break-away. Not to be outdone, Bryce Gervais scored short-handed seven minutes later on an equally pretty shot. Gervais added another shorty just over a minute later to round out the scoring. Teddy Blueger assisted on both Gervais goals, as Gervais broke the school record for career SHG with 9. A 5-1 Maverick win. Cole Huggins was rock solid in net for MSU and had 18 saves. Chris Nell had 16 for BGSU. The three stars of the game: Blueger with two assists; Max Coatta (MSU) a freshman from Minnetonka, MN with a goal and an assist; and Gervais with his three point night. Attendance was 3724. This entry was posted on Sunday, February 7th, 2016 at 12:49 PM	and tagged with BGSU, driving, hockey, Minnesota, minnesota state mavericks, photo, travel and posted in sports. You can follow any responses to this entry through the RSS 2.0 feed.